The set before the dedication. This was followed two days later with our first three video recordings—one each by Gary Petty, Steve Myers and Darris McNeely. We thank everyone from all over the world for their support and prayers. As the dedication ceremony got underway, flowers arrived from our German office and brethren. We thank all those who have expressed encouragement in various ways as we labor to fulfill the mission of Matthew 28:19-20 Matthew 28:19-20 19 Go you therefore, and teach all nations, baptizing them in the name of the Father, and of the Son, and of the Holy Ghost: 20 Teaching them to observe all things whatever I have commanded you: and, see, I am with you always, even to the end of the world. Amen. “I’d like to share some notable lessons from 1 Kings chapter 8 when King Solomon dedicated the magnificent Temple to God. This was one of the most beautiful structures of all time. It represented a house built for God, where He would live. Solomon blessed the people before any reference to the physical structure. Solomon declared that this would be the place where prayers would be heard. Foreigners (outsiders) would take note of what was going on. “We really want our work to be noted by those outside of us, the spiritual foreigners. We want them to ask what is behind the message. What is behind the personalities, the behaviors and the Church that produced what they will see and hear? Perhaps, as a result, they will find God in their lives as well. Then, on Wednesday afternoon, Nov. 28, we recorded our first programs in the new studio—before a live studio audience of 50 people. The audience was comprised of Cincinnati church members, ABC students and some home office staff. “The Horsemen of Revelation” by Darris McNeely. “The Power of the Holy Spirit” by Steve Myers. “Are We Living in the Time of the End?” by Gary Petty. This is quite a milestone, as we had been making do in the old studio for 13 years—since 2005—with 360 episodes recorded there! Plans are already underway for our second round of recordings. These will take place on Wednesday, Jan. 9. 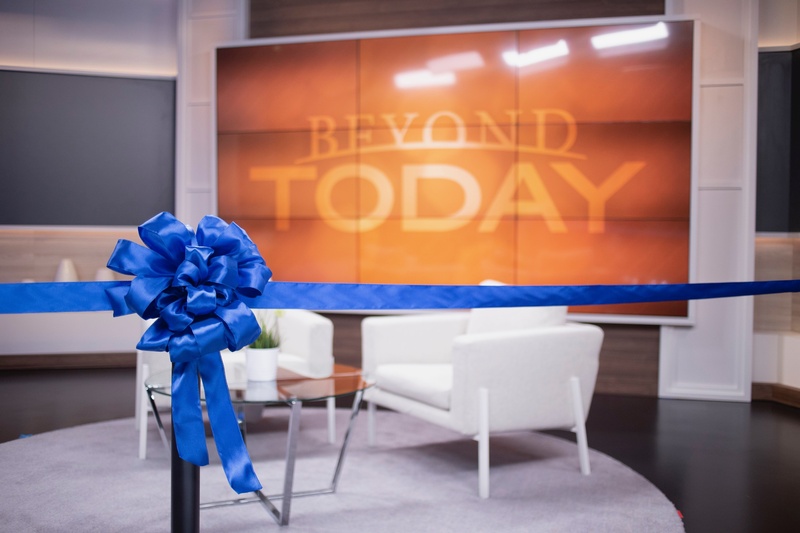 For these we are inviting Cincinnati readers of our Beyond Today magazine to also attend and be part of the live studio audience. The continued prayers of our brethren are very much appreciated as we strive to do our part to preach the good news of the Kingdom of God. May “Thy Kingdom Come” speedily!